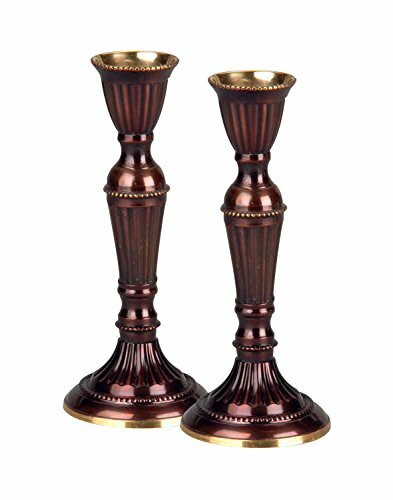 These Beautiful Copper Finished Candle Sticks, are part of the Jewish Tradition, of Lighting Candles on Shabbat. Jewish Families from all over the world greet the Sabbath with Candle Lighting. Shortly before sunset, families will light the Sabbath candles to bring a blessing of peace, into our homes and to all of the world. Product Dimensions: 5.75" x 4.0" x 2.0"